Dura-Kote DK 500 is a clear floor epoxy 100% solids that are available in a standard, premium, and a thin viscosity option with zero VOC’s. SureCrete’s epoxy coatings floor systems can be used in a wide variety of applications such as high build clear coat for a host of decorative concrete systems, a primer coat and binder coat for Dura-Kote Flakes and Metallics. Yellowing and blush are minimized by the use of an aliphatic amine curing agent for part B, providing a premium, durable clear coating for colored or stained concrete and cement-based overlays. For unique, job specific conditions two other specialized part B’s are available, Premium UV and Premium PTV. 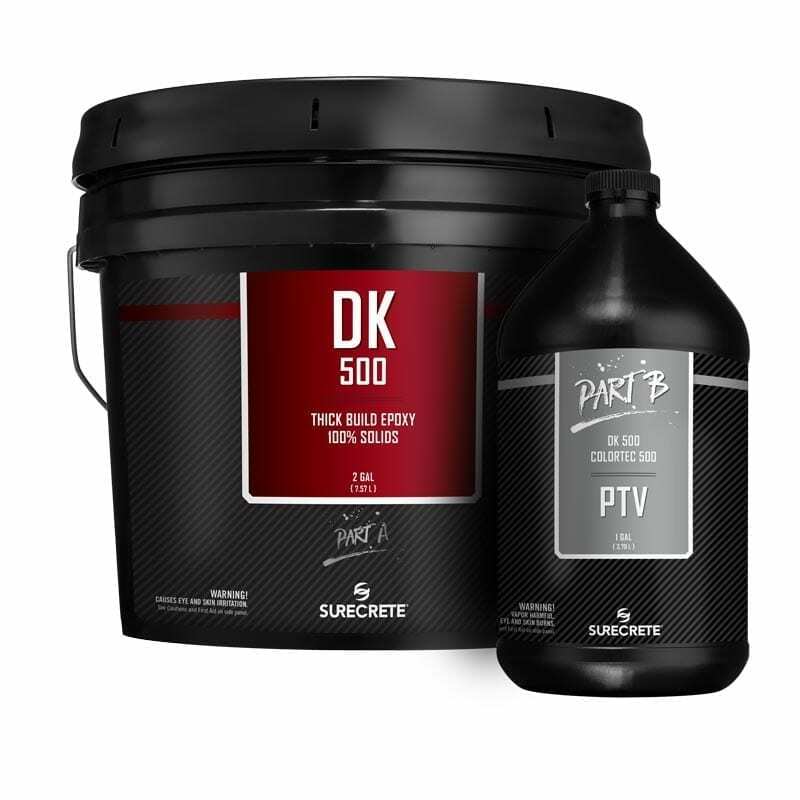 See your SureCrete distributor for details. 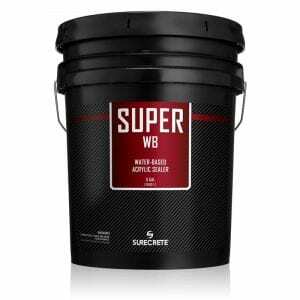 The high performance, self-leveling characteristics generate the premier balance of strength, flexibility, and chemical resistance that is both user-friendly and extremely durable. Dura-Kote Epoxy 100 is ideally suited for any commercial or residential setting: manufacturing facilities, warehouses, bars, clubs, retail stores, automotive showrooms, residential interiors, garage floors, gyms, locker rooms, stadiums, or anywhere that an exceedingly resilient floor is desired. Epoxies have been in use for a very long time in the concrete coating industry, and for a good reason – they are an excellent carrier for pigments, metallic pearls, and multi-color flake chips. 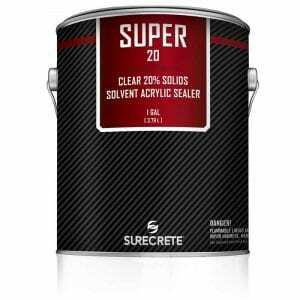 They also have the fairly unique property of being able to bridge small cracks and voids so that the applicator may be able to forgo some patchwork that would be necessary to do before other concrete coating applications. These qualities have made 100% epoxy coating garage floor a go-to choice for professional decorative concrete contractors and DIY homeowners alike. The thick millage build-up provided by Epoxy 100 provides a beautiful sacrificial layer for abrasion resistance that will last quite a bit longer than other, thinner coatings with lower solids contents. In addition to these beneficial properties, Dura-Kote Epoxy 100 is also very ecologically friendly at completely zero grams per liter VOC content and therefore is quite often used on green architectural projects by contractors looking to earn LEED points on the concrete coating and protective sealer portion of the job. Question: Can I use just one coat of Dura-Kote Floor Epoxy 100? Answer: Yes, you can! Although it will depend entirely upon your desired finished floor and the amount of protection you need, Epoxy 100 was designed specifically for this purpose! Question: Will Dura-Kote Epoxy 100 self-level and fill small holes? Answer: Yes, it certainly will! However, be sure not to try to bridge expansion joints as these are necessary to allow movement in the concrete. Question: Can Epoxy 100 be used outside? Answer: No, epoxy coatings are not vapor-permeable and therefore should not be utilized in exterior applications. Question: I have strict VOC laws in my area, can I use DK 500 Epoxy 100? Answer: Without question, yes! At zero grams per Liter of VOC content, Epoxy 100 can be used no matter how strict local VOC laws are! Question: If I’m putting down the second coat of Epoxy 100, does it have to be screened? Answer: Yes, because of its chemical nature and high solids content, the second coat will not bond correctly without proper screening of first coat. Question: I have strict VOC laws in my area, can I use Dura-Kote Epoxy 100? Answer: Without question, yes! At zero grams per Liter of VOC content, Epoxy 100 can be utilized no matter how strict local VOC laws are! 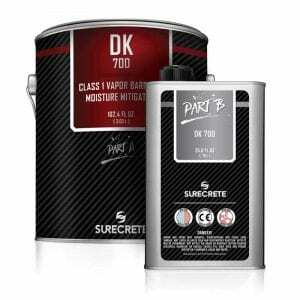 SureCrete’s Dura-Kote premium clear floor epoxy 100% solids is a high-quality clear thick build floor coating for a high gloss shine used as a top coat or part of a system to create a 3D metallic floor. Dura-Kote DK series is also available in a Standardized lower cost option as well as a thin viscosity formula to help the movement when adding metallic pearl additives.